When the cartilage of the knee is worn, the friction between the bones makes the articulation difficult to slide. Osteophytes (bone beaks) can form and their appearance aggravates the blockage of the joint. 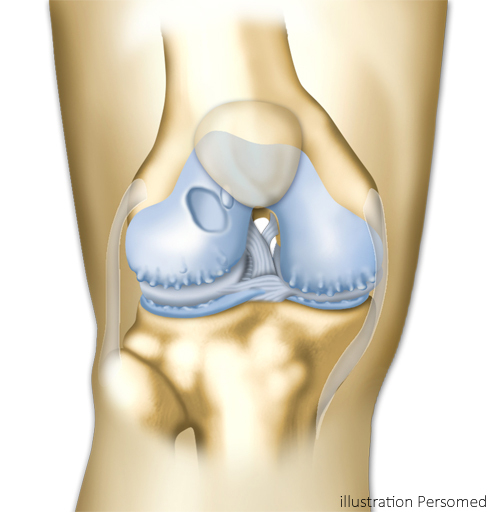 Most often, osteoarthritis begins on the inner part of the knee and can develop gradually to the entire joint more or less rapidly. The knee becomes stiff and painful. At the Bordeaux-Merignac Sport Clinic, the development of knee prosthetic surgery is part of an Enhanced Recovery After Surgery (ERAS) protocole in which your active participation as a patient is paramount. 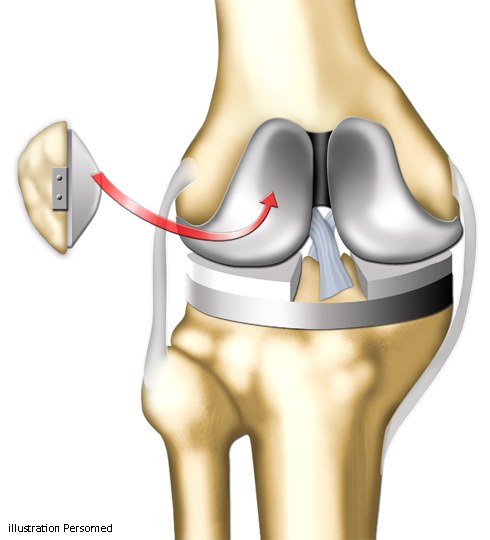 The intervention of arthroplasty consists of making an incision to reach the joint. The surgeon severed the lower end of the femur and the upper end of the tibia and prepared these bones to receive the prosthetic implants. The mobility and stability of the joint are carefully checked before proceeding to the closing sutures. At the Bordeaux-Merignac Sport Clinic, this surgery can be performed with a navigation system that directs the cut and allows to correct any defects in the axis of the limb.